And the BS just keeps on flowing! 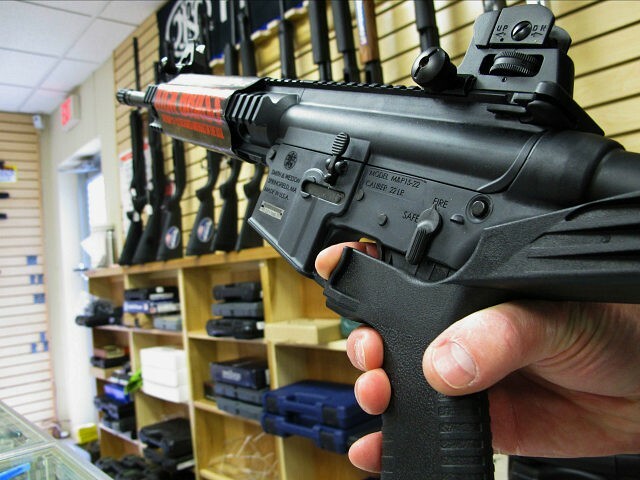 The Bureau of Alcohol, Tobacco, Firearms, and Explosives is currently accepting public comment on their plans for backdoor bump stock gun control. On December 22 Breitbart News reported a Department of Justice announcement that the ATF would be seeking to redefine the term “machinegun,” so as to include aftermarket devices that do not convert semiautomatic firearms into fully automatic weapons. As of now, only mechanisms/alterations that truly convert a semi-action into a full-action are governed by the National Firearms Act (1934). The efforts to redefine the term “machinegun” center on new controls for devices that merely “mimic” full auto fire. Those engaged in the business of manufacturing, importing, or dealing in NFA firearms must be registered with the Attorney General. 26 U.S.C. 5801, 5802. When the NFA was enacted in 1934, only a handful of firearms qualified as machineguns, such as the Thompson submachine gun. Over time, however, as firearms technologies have advanced, manufacturers and the public have attempted to develop firearms, triggers, and other devices that permit shooters to use semiautomatic rifles to replicate automatic fire without converting these rifles into “machineguns” within the meaning of the statute. Consequently, questions have arisen about whether these types of devices should be classified as machineguns (or machinegun conversion devices) pursuant to section 5845(b). See, e.g., Internal Revenue Ruling 55-528 (1955) (considering whether types of “Gatling Guns” constitute machineguns); ATF Ruling 2006-2 (examining a firearms accessory device that, when activated by a single pull of the trigger, initiated an automatic firing cycle that continued until release). ATF has issued a number of private letters to individuals and manufacturers who voluntarily submitted such devices for classification under the NFA and GCA. In addition, ATF has promulgated a regulation that defines “machinegun,” See 28 CFR 478.11, but that regulation mirrors the statutory language of the NFA and GCA and provides no further interpretation. Bump stocks were evaluated by Barack Obama’s ATF, recognized as accessories rather than conversion devices, and approved for sale in 2010. The ATF/DOJ push for redefining the term “machinegun” would essentially eliminate any difference between accessories and conversion devices, treating both categories as a means of converting semiautomatics into full autos. This, in turn, would bring bump stocks under the auspices of the National Firearms Act (1934), requiring that the accessories be registered with the government and that owners of bump stocks be fingerprinted, photographed, and required to undergo a background check. AWR Hawkins is an award-winning Second Amendment columnist for Breitbart News, the host of the Breitbart podcast Bullets, and the writer/curator of Down Range with AWR Hawkins, a weekly newsletter focused on all things Second Amendment, also for Breitbart News. He is the political analyst for Armed American Radio. Follow him on Twitter: @AWRHawkins. Author admin175Posted on 12/31/2017 12/30/2017 Categories Anti Civil Rights ideas & "Friends"
Next Next post: Some Thoughts……….